Victoria Dew headed up a conversation about entrepreneurship for IABCLA. 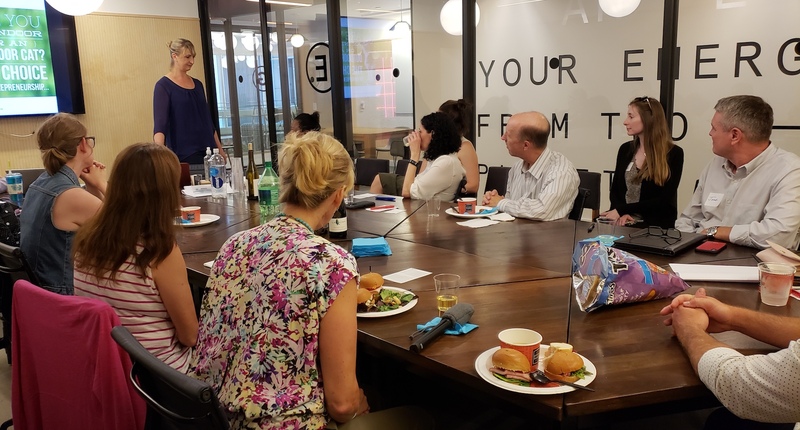 Victoria Dew, the Founder and CEO of Dewpoint Communications, recently led a thought-provoking professional development session for IABCLA titled, “Are you an Indoor or an Outdoor Cat? The Choice of Entrepreneurship.” Dew is also Vice Chair, International Executive Board, IABC Board of Trustees. During the discussion, Dew debunked myths about entrepreneurship. She also examined critical mindset factors for success and offered insights that inspired guests. Thank you to (W)right on Communications for sponsoring the function. The chapter board is now working on several fall events. Be sure to check back, as more information will be posted in the weeks ahead.